It only took Heather Barboza one day to realize she needed the guidance of JCCC’s Kansas Small Business Development Center (Kansas SBDC) to walk her through the process of opening Emma’s Place for Exceptional Children, a child care center for some very special Johnson County residents. Emma’s Place will provide care for youths ages 5 to 18 who require extra services due to medical or cognitive needs. Jack Harwell, Kansas SBDC consultant, was committed to Barboza’s plan. “Jack was extremely helpful,” Barboza said. The course content and Harwell’s one-on-one advising taught Barboza how to use the tools she acquired in class to write a business plan and secure a small business loan. Harwell also assisted Barboza in financial projections and helped her evaluate her options with different loan terms. He also went above and beyond when he spoke to one of the lenders to clarify their concerns. With a student-to-staff ratio of 5-to-1, the goal of Emma’s Place staff is to make sure their students’ progress doesn’t go stagnant. Parent partnerships are also an important aspect of achieving quality care. Her plan also included ways to incorporate art, music, yoga therapy and assistance with homework and computer skills. For Barboza, the most rewarding part of opening Emma’s Place has been helping families with child care so they can do things not previously possible. One life aspect she didn’t think about when developing her plan was the number of families that had to give up an income to care for their special-needs child. Even when the child becomes school-age, there are very few options for after-school care. “I’ve had many parents tell me that for the first time, they can envision a time when they can return to the workforce,” Barboza said. 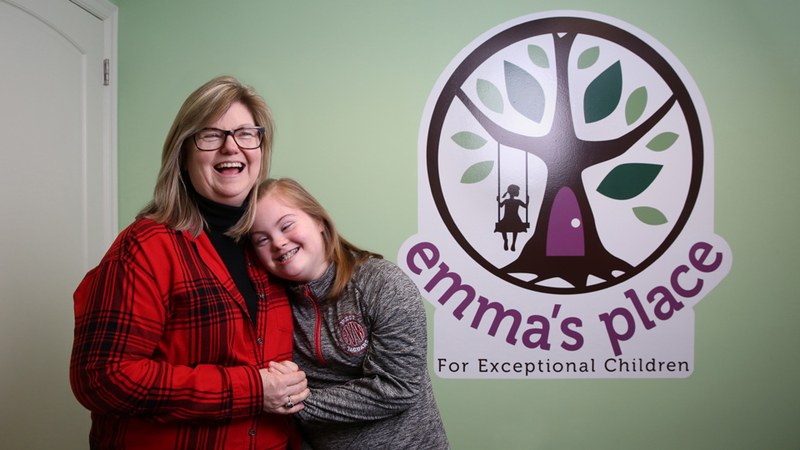 Emma’s Place also gives families a way to ensure their special-needs member is cared for and having fun while members of the family attend other events. “Child care seems like a simple thing, but to these families, in many cases, they haven’t been able to go on a date, spend quality time with their other children, or simply go shopping,” she said. “I had a family bring their child to our respite afternoon, and it was the first time they had been able to go out together on their own in many years,” she said. Barboza’s goals are to have Emma’s Place at capacity with happy children who are learning and making friends. At this point, she has no plans for expansion, but if she does decide to open another care center, she knows JCCC’s Kansas SBDC will be her first call. Get your business idea off the drawing board and work with Kansas SBDC to make your dream venture happen. Online registration with Kansas SBDC is easy and free. If you’re a serious self-starter, register in one of JCCC’s Continuing Education’s Small Business Development courses and get a foundational understanding of what it takes to be your own boss and make a difference in your community. Note: JCCC’s Kansas SBDC covers three counties ­– Johnson, Wyandotte and Miami – and provides one-on-one consulting, classes and special programs focused on helping clients succeed and generate positive economic impact.